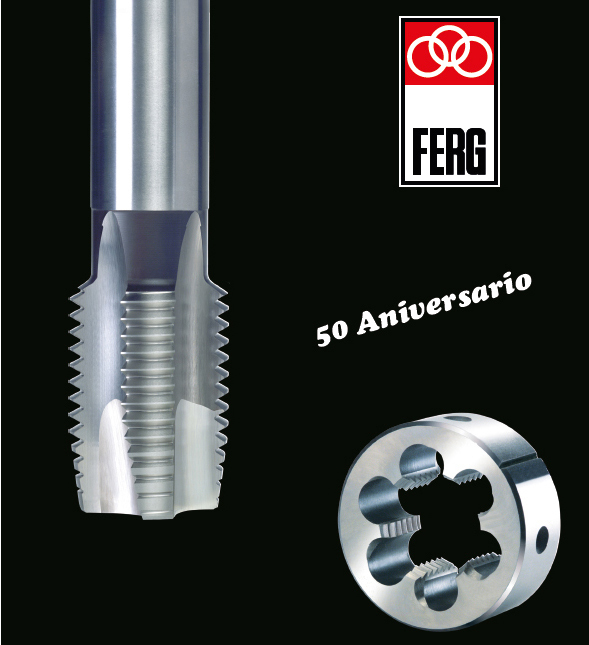 Ferg was established in Spain in 1963 in a decade that saw great industrial growth in every sector, a factor that was undoubtedly an advantage when forming a company. 50 years have passed since a small metal workshop in the historic centre of Vic (Barcelona) launched a project to manufacture thread cutting tools by applying basic equipment, skill, experience, contacts, mechanical knowledge and great expectations from its three partners. The original 50 m² spread to 300 m² in 1968, 700 m² in 1978 and by 1988 the industrial area covered 3,100 m². During this period Ferg grew in terms of its surface area, but also expanded its production equipment, incorporating the most modern and technologically advanced machines acquired in Switzerland and Germany into its base of machines. Since it began, Ferg has based its strategy on manufacturing quality machines to set itself apart from its competitors and find a space for itself in the national market so that, in a few short years, it could make the leap to the most demanding international markets. Today, the tools manufactured by Ferg (thread pipe taps, dies and turning tool bits) are used by the most important and demanding industrial sectors in the world, for example the aeronautical, aerospace, automotive, electronics, surgical medicine, precision machine and renewable energy sectors. It continues in its commitment to addressing new commercial and technological challenges related to the evolution of materials, coverings and surface finishings.